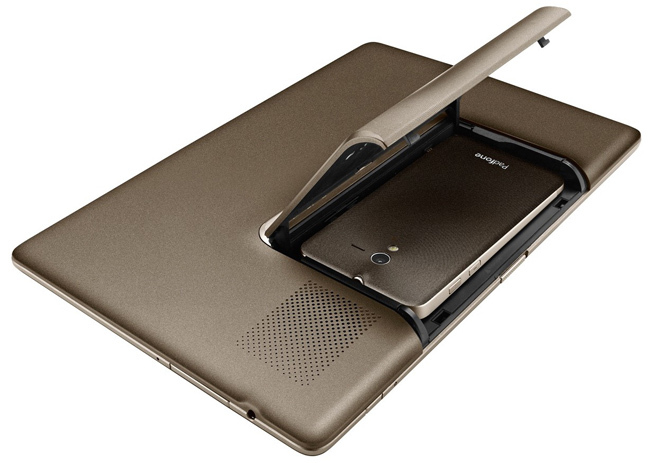 The ASUS PADFONE 2, Successor of the Padfone has finally been officially rolled out in the Taiwan event by Jerry Shen, the CEO of Asus in Taipei. It is also going to be launched at the Milan event which will take place later today. The Padfone 2 is, undoubtedly a fantastic device. With its upgrades, it is a much bigger and a more powerful device when compared to the Padfone. The device looks quite similar to its predecessor, the only difference is that it is bigger. The Padfone Station Dock is no more there for the Padfone 2 and one more thing to notice is that- The combined weight of the PadFone Station and PadFone 2 is just 649g. Thats quite impressive. Isn't it? The Padfone 2 sports a 4.7-inch Super IPS+ HD capactive touchscreen display with a resolution of 1280 x 720 pixels. It is powered by a quad core Qualcomm APQ8064 SoC processor bundled up with 2 GB of RAM. It will run on the Android 4.0 OS. Also, it comes with 50GB Asus WebStorage for two years. There is no microSD Card Slot. Thus, it comes in 3 variants- The 16 GB/ 32 GB/ 64 GB Models. Under the hood, lies a 2140 mAh Li-ion battery which gives a superb battery life of 63 hours with the PadFone station and 102 hours with the keyboard dock. It comes with a 13 MP Camera on its back. That is really good. Asus has brought in its SonicMaster audio technology for this smartphone which enhances the sound quality. On the connectivity side, the smartphone will feature 3G, Wi-Fi, Bluetooth and NFC. Talking about its pricing, the 16GB, 32GB and 64GB variants of PadFone 2 will be priced at an additional $210 more than that of the earlier versions with the PadFone Station in Taiwan. Those consumers in Taiwan can purchase the PadFone 2 right from the next week. There is no news regarding the availability of the smartphone in other regions. 0 Respones to "ASUS PADFONE 2 LAUNCHED"